1. First start your database. 2. 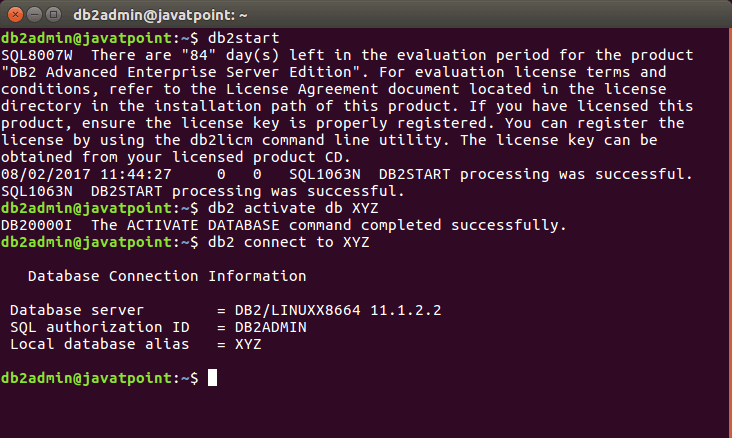 Activate the selected database "XYZ". 3. Connect to the database named "XYZ". db2 "select substr(authority,1,25) as authority, d_user, d_group, d_public, role_user, role_group, role_public,d_role from table( sysproc.auth_list_authorities_for_authid ('public','g'))as t order by authority"